to the center of everything: the seed, the egg, the idea . 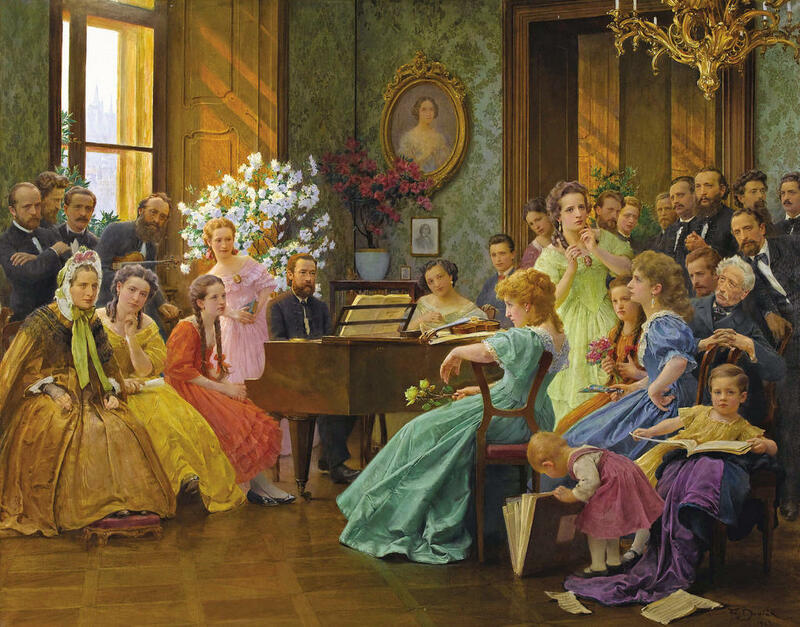 . .
Bedřich Smetana created one of the most beautiful pieces of music I’ve ever heard, “Die Moldau.” I’d like to think that in a former life I was the melancholy brunette in this painting, enraptured by his talents, in love with his song.